A beautiful elegance paired with the 21st century focus on practicality, modern bedroom designs are sweeping the nation. From magazine covers to HGTV, gorgeous modern designs are everywhere — and rightfully so. If you want to explore these in-style bedroom decorating tips, this is the perfect time. 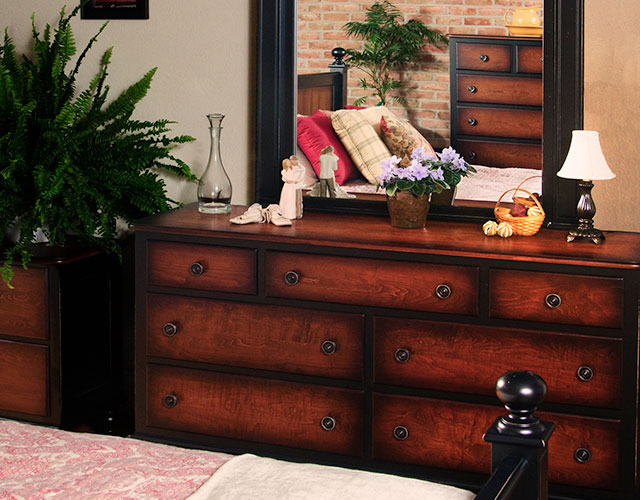 Learn about the big picture aspects of modern design and explore modern bedroom furniture sets at Martin’s Furniture. In general, modern bedroom designs feature a bed frame, a dresser or chest of drawers, and a night stand. The popularity of walk-in closets has caused armoires and blanket chests to fall out of popularity in modern bedroom décor. Let’s explore the best bedroom set pieces to complete a modern décor. 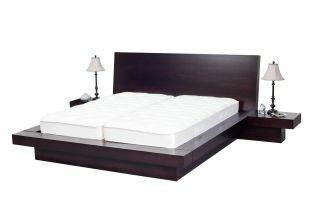 The most modern bed frame built by Martin’s Furniture, the Urban Platform Bed is a sleek and eye-catching addition to your bedroom décor. Highlighting the hallmarks of modern design, this low-profile bed features two built-in nightstands and seating on the bed frame itself. Like many showpieces, this is an example of modern furniture that needs to be seen in order to be believed. Add a top-of-the-line mattress to go with your new bedframe. The Palmerton is a distinctly fashionable bedframe that highlights the subtle curvature that can be found in modern furniture sets. While the panels are composed of clean lines, the focal point headboard and the feet provide a gracefully curved contour. In another show of modern efficiency, the subtle built-in drawers are large enough to actually offset the need for another piece of furniture. Explore our full collection of modern and traditional bedframes. One of the most modern lines of furniture Martin’s builds, our Grand Luxton collection can nicely accompany a modern bedroom design. Both the Grand Luxton Ladies Dresser and the Grand Luxton Large Chest of Drawers serve as supplemental clothes storage as well as striking in-style accessories. The first thing you’ll notice about these pieces is their unique color. Called tiger maple or curly maple, this stunning hue is the perfect addition to countless 21st century modern bedroom designs. Both of these Grand Luxton pieces feature clean lines offset with subtle curvature along the sides and bottom. 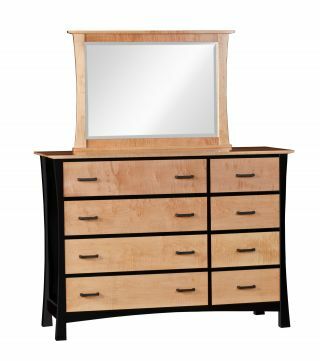 In addition, the Grand Luxton Ladies Dress further highlights the modern look with the curvature of the mirror. Love the Grand Luxton look? 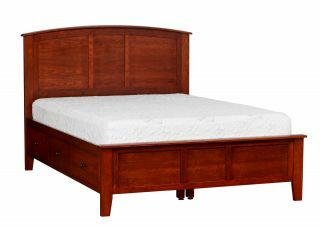 See our modern Grand Luxton Bedframe. 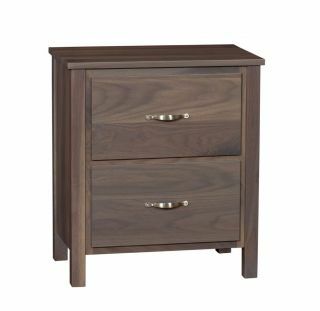 The final piece to profile in our modern bedroom set, this nightstand epitomizes the functionality and sleek design of modern furniture. The Sonoma Nightstand is composed of clean, straight lines — and the light grey hue radiates a cool feel, complementing your modern bedroom décor. In general, the modern aesthetic departs from the highly ornamental look of traditional furniture. That means you won’t see ornate feet or legs, highly-detailed columns, or fancy trim. Clean Lines — Clean and simple lines are one of the main hallmarks of modern design, both as far as furniture and decorating are concerned. Modern Colors — The main wood colors popular in modern bedroom furniture design include blondes, grays, and light browns. In addition to these fairly subtle color palettes, modern décor can sometimes include the bright shock of an accent color. Lighter Finishes — Going along with the modern colors, modern furniture generally features a more distressed look with more minimal finishing. This is a contrast to the sleek and deeply stained colors popular in traditional styles. 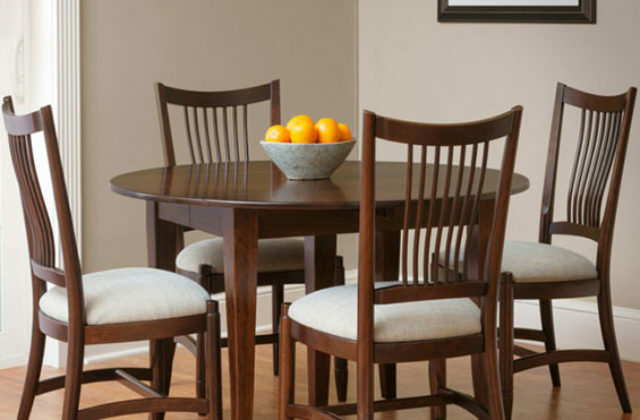 Learn more about wood colors and finishes. Graceful Curvature — While the general belief is that modern furniture only features hard and straight lines, that isn’t the case. Many modern pieces feature elegant curvature throughout the designs. Ample Usable Space — Traditional furniture is often seen as being all style and not enough useful substance. That philosophy sparks some modern pieces to feature extra — sometimes hidden — storage space. Love the modern furniture and décor? Fantastic. Wish you could customize it to add your unique personality to the design? When you work with Martin’s Furniture you absolutely can. 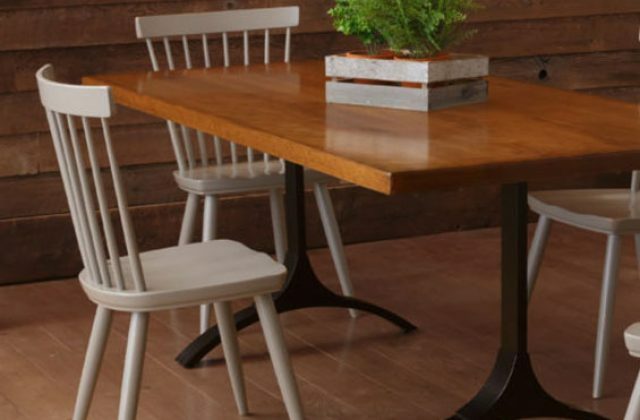 Our dedicated Amish craftsmen custom build every single piece of furniture when you order it — dating and signing each individual piece. Contact us today to start the conversation about your custom furniture and all things modern bedroom décor.